Dan founded The Organic Protein Company in 2014 after failing to find readily available organic whey protein. 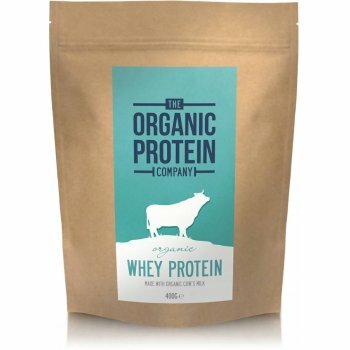 After two years of hard work, perseverance and setbacks he was eventually able to import organic whey from the US, however that was causing too many carbon emissions for Dan, so the company now imports from small organic farms in Northern Germany, ultimately slashing their carbon emissions – but the goal is to bring production to the UK. The Organic Protein Company is committed to protecting our environment, which is why one tree is planted for every pack of organic whey protein and packaging is made from recycled materials where possible. The stand up pouches are made with FSC certified paper and have a thin aluminium coating for freshness while the scoops are made from recycled milk bottles here in the UK.